1. If you're using old firmware and want to upgrade, please, do it via iTunes. 2. 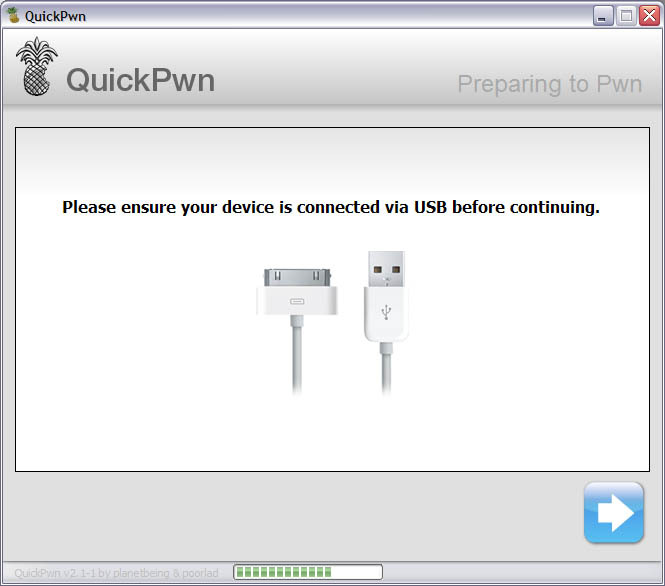 Go ahead and download QuickPwn 2.2 (download links). 3. Download firmware (download links). 5. Connect you iPhone or iPhone 3G and push next button. 6. Your deveice is detected. Click browse to select firmware image. 7. Select the image that you downloaded in step 3. Make sure this is the same version that you currently have on your iPhone. If you want to upgrade go to step 1. 8. 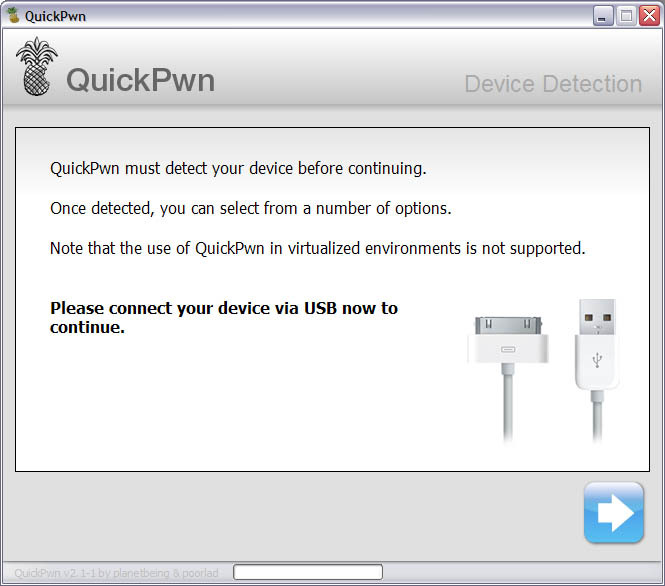 The application will verify that you choose the right version of firmware image. Click next. 9. You will be frequently using Cyda, so make sure to check it. 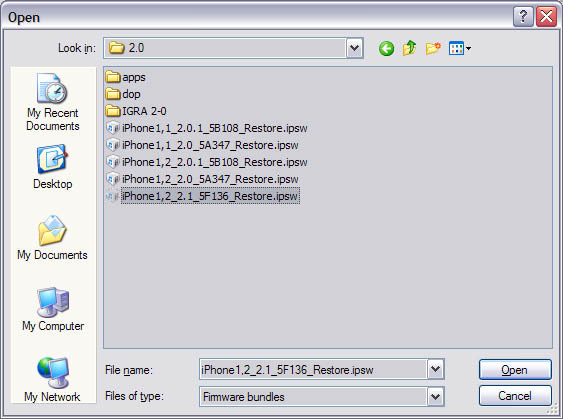 Installer is in beta, but it will be updated in the future, so check this one too. Click next. 10. Check if your device is connected and hit next. 11. This is probably the hardest part. You will need to press Home and Power buttons on your iPhone in the special order. So make sure you read instructions carefully and follow them. If not, not big deal, you'll be able to start from step 4. There are 3 steps here: hold down Home button for 5 sec, than hold Home and Power button for 10 sec, than hold Home butting for 30 sec. 12. Than you'll have to wait whilce QuickPwn will do the work. 13. Congratulations! You did it. 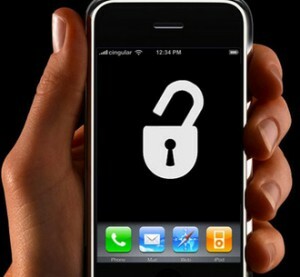 Now you can run Cydia Installer and install usefull and free applications.